THE ENERGY Commission of Ghana has presented professional certifications to a total of 783 electricians. The certified electricians were those who passed the November-December 2018 certification examination conducted by the Energy Commission. A total 1,555 individuals who sat for the examines which were in three stages. The 783 represents a pass rate of 74.2 percent, according to Executive Secretary of the Energy Commission, Dr. Alfred Ofosu Ahenkorah. The certificates were presented to the electricians on Tuesday, March 19, in Accra. The electricians included 782 men and a female, and the categories of certification were commercial, industrial and inspectorate. Dr. Ahenkorah disclosed that currently there were 7,801 certified electricians in Ghana. That, according to him, meant that no one in the country should give excuse for not engaging the services of certified electricians in carrying out electrical wirings. Executive Secretary of the Public Utilities Regulatory Commission (PURC), Mami Dufie Ofori, who chaired the 11th Electrical Wiring certificate awards presentation described as laudable, the initiative of the Energy Commission to have electricians certified, something she believed will lead to the safety of electricity consumers. She called on the graduands to work with a sense of integrity and honesty. 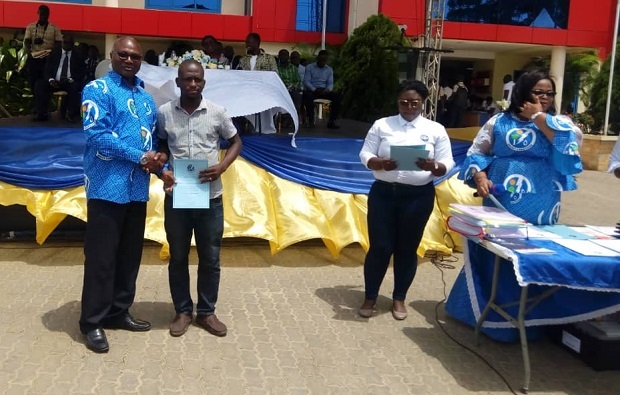 Meanwhile, the graduands pledged to undertake works to be assigned to them in compliance with the electrical wiring regulation of Ghana and ensure the safety of lives.